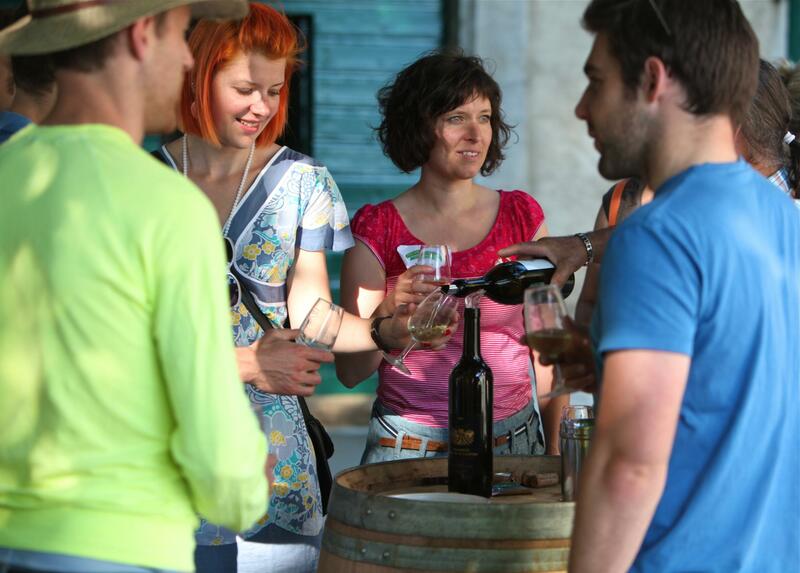 If there’s a not-to-be-missed event in the canton of Vaud, it’s the Vaud Open Cellar Days ! There’s holiday flair and relaxation throughout the canton during the Pentecost weekend. The six wine-growing regions all join in this event and the 300 participating cellars offer a wide range of wines waiting to be discovered. It’s easy to spot your fellow wine lovers thanks to their tasting glass and contagiously good mood. Just get an Open Cellar pass valid for the two days of the event, follow them and get to the core of the event! 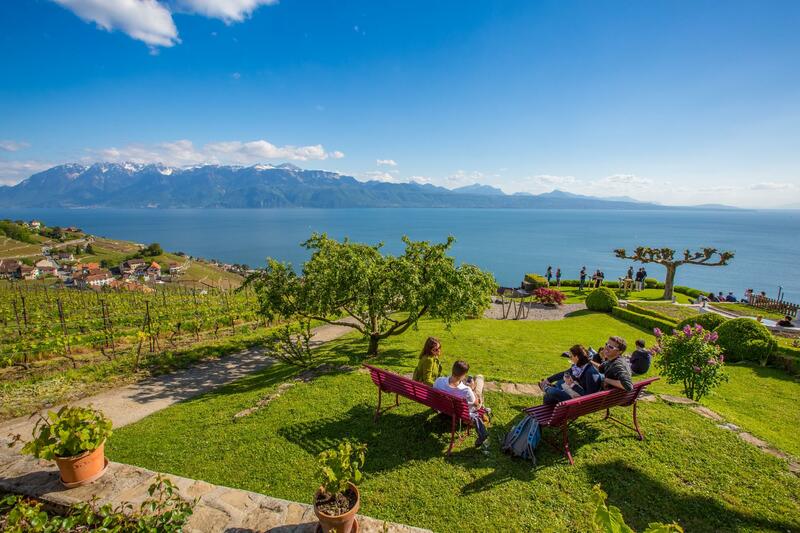 Inaugurated in 2010, the Vaud Open Cellar Days have become a must-attend event for many people who like to get together during the Pentecost weekend. Groups of friends or couples are looking forward to encountering the 300 participating vintners and tasting their delicious whites, rosés and reds. Each year, I and my friends or family enjoy the wonderful terraces in the middle of the vineyards. I wouldn't miss this event for anything! The six Vaudois wine regions are Bonvillars, Chablais, La Côte, Vully, Lavaux UNESCO, and Côtes de l’Orbe. They all have their specific climate, atmosphere and must-visit tourist destinations. Once you get to the venue, you’ll be spoilt for choice! There are so many things to discover: from the small family cellars, cooperatives and terroir shops to the large cellars of the winemakers of repute. When you approach a vintner’s estate by chance or recommendation and cross the threshold, you will be met by the cellar’s typical odours of wood, stone and grape to wine transformation. Your visit will even take you to the vast vats and the wood barrels. A beautifully appointed reception space awaits the public with huge tables or ancient vats redesigned as bar tables. “Welcome! What’s your pleasure?” asks the owner of the premises holding a bottle in his or her hand. An old poster of the Winegrowers' Festival decorates the wall of the carnotzet. This event is held once a generation and the photos of past grape harvests bears witness to the close ties between winegrowing and the history of the canton of Vaud. The freshness and fruity notes of my first glass of Chasselas really surprised me. An unforgettable experience! Once you have your Open Cellar glass, all you need to do is proffer it to taste your first Chasselas. Crisp, fresh, fruity… a white wine that’s perfect for aperitifs! The wine card and the vintner’s tips will guide you to your subsequent wine selections. The artisan will be happy to talk about his or her passion for wine, the characteristics of the soil or the vinification process. One of the greatest pleasures at the Vaud Open Cellar Days is to taste a wide range of wines that reflect the vintners’ know-how and the various terroirs. You are sure to find your favourite among them! Have you worked up quite an appetite by now? Just order a planchette of Vaudois terroir products such as Gruyère PDO and L’Etivaz PDO or Saucisson Vaudois PGI. The apple juice by Union fruitière lémanique is a good alternative, especially for younger people. Perch fillets, malakoffs (cheese donuts) or, as a dessert, Vully Cake are regional traditions and therefore on offer in many restaurants and on their terraces. In a warm atmosphere, groups of friends go from one cellar and village to the next. They take the time to discover the region at their own pace, on foot or by free-of-charge public transport. Some of them are regulars, others are visitors passing by. All of them marvel at the breathtaking scenery surrounding the vineyards. Sitting at a table on a beautiful terrace facing Lake Geneva and the Alps, you will easily start a conversation with guests sitting at adjoining tables. Not to mention the bursts of laughter and the merry atmosphere when you board the small wine trains. What an original and unforgettable way to visit the vineyards! We appreciate the warm welcome of our favourite winemakers and their explanations during the wine tastings. During your tasting journey, pop, rock and jazz bands or traditional marching bands fill the tasting spaces and streets. Wherever your fancy or your encounters take you, you will spend as much time as you wish in each cellar, which allows you to sample the diversity of offers and atmospheres. In the evening, celebrations continue at emblematic venues such as the traditional vintners’ ball at the castle of Nyon. At the end of this pleasant day spent at the Vaud Open Cellars, you’ll want but one thing: do it all over again! Fortunately the event extends over the whole weekend. So you’ll have all of Sunday to enjoy more lovely moments while discovering all of the winegrowing regions in Vaud. 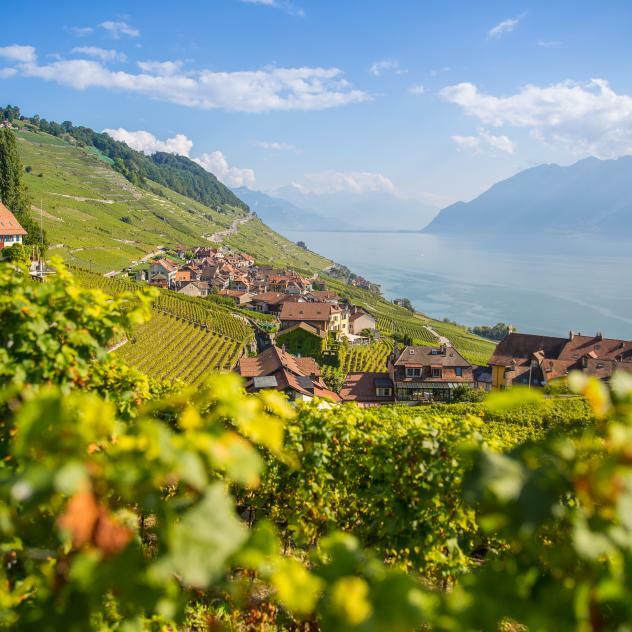 You’ll be enchanted by Lavaux UNESCO and its terraced vineyards, medieval hamlets and the breathtaking panorama with Lake Geneva and the Alps as a backdrop. 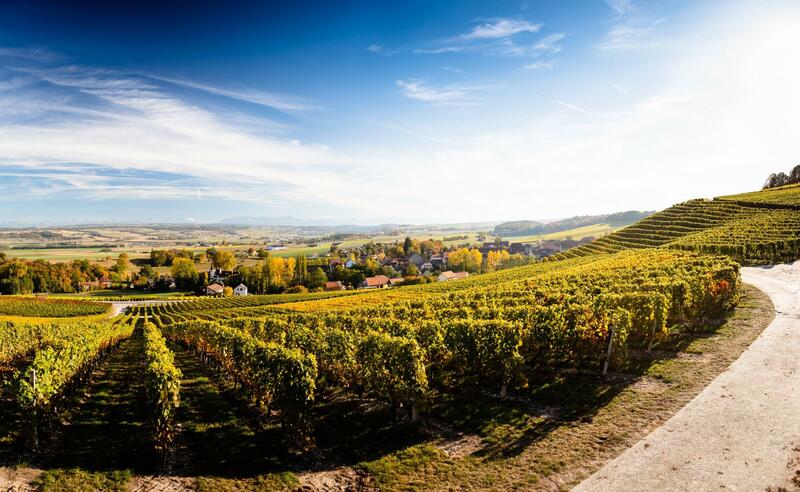 Take a walk in the canton’s largest vineyards of La Côte, which extend over a gentle slope at the foot of the Jura massif opposite Mont-Blanc. Almost hidden in these vineyards are charming vintners’ cabins and historical castles. Just as delightful is the Chablais with its vineyards stretching up to the foothills of the Pre-Alps and the beautiful castle of Aigle, where you can visit the Museum of Vines and Wine. The Côtes de l’Orbe vineyards are further north. They offer bucolic, gently undulating landscapes and characteristic red wines. Last but not least, the regions of Bonvillars and Vully on the shores of Lake Neuchâtel boast a lakeside atmosphere and tranquil, natural spaces for restorative walks. The canton of Vaud’s emblematic white wine, chasselas, originated on the shores of Lake Geneva. Chasselas can be enjoyed as table grapes and wine. It is perfect for aperitifs and meals alike. This grape variety reflects the characteristics of the terroir as well as man's labour. There are a thousand and one typical wines that are vinified generation after generation. Discovering its carbonic taste, floral notes and minerality is one of the pleasures during a stay in the canton of Vaud. A visit to the world conservatory of Chasselas in Rivaz will show you about twenty varieties. Each year, the Chasselas World Fair evaluates some 800 wines at the Castle of Aigle, while the documentary Chasselas Forever retraces its history from grape to great vintage. Amazing! The 300 vintner families, who are featured during the Vaud Open Cellar Days, work throughout the year to develop their products. Pruning, leaf thinning, harvesting and bottling: these are but a few aspects of the vineyard work performed throughout the seasons in the six winegrowing regions of Vaud. Each region has its own geographical, climatic and historical features. They all have unique winetouristic activities as well as many character wines on offer.